Showing 22 articles from August 25, 2014. 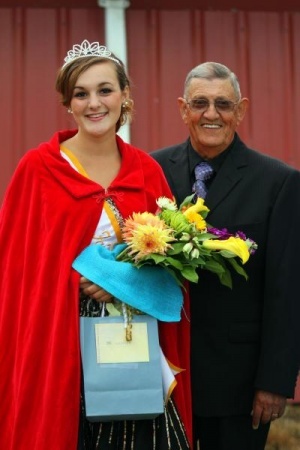 Photo by Larry Bale Madeline Maden was named Queen for the 2014 Pacific county Fair Thursday night at the fairgrounds. Madeline was escorted by her grandfather, Tom Maden. 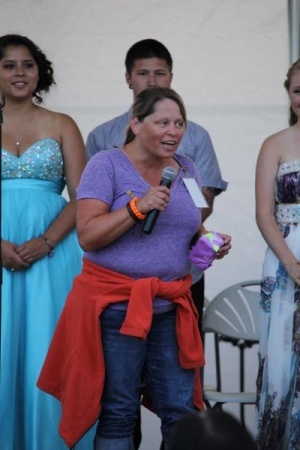 MENLO - The anticipation was mounting as this year's Pacific County Fair Queen candidates took the stage just prior to the announcement of the winner. Dotsi Graves, Fair Manager announces the queen. MENLO - For the 118th Pacific County Fair, it was all smiles and laughs as local residents came into Menlo for the running of the annual festival. SOUTH BEND - As the summer winds down, the South Bend City Council is ramping up to take on Labor Day and the 52 annual Come & Play on Labor Day Festival. The Raymond City Council met Monday night, August 18. During the communications slot on the agenda, Clerk Hester Gilleland spoke about the exit conference that will be held on Sept. 8, to have the official results from the State Auditor's office. For now it is business as usual, that is, the new business of trying to comply with the Washington State Liquor Control Board and the 502 Initiative. What started 50 years ago as a simple social gathering among grange members has turned into a major fundraiser and agricultural exhibition for the Toledo community. The Cowlitz Prairie Grange celebrated the diamond anniversary of its annual Threshing and Gas Show over the weekend, as the event continues to pick up more vendors and volunteers. Community leaders in Castle Rock are preparing a Task Force to explore possible future uses for the Exhibit Hall Building after the structure became vacant on May 31. Owned by the city, the building had been home to the Exhibit Hall Society's collection of memorabilia and artifacts representing the city's long agricultural and logging history, as well as its connection to Mt. St. Helens. Save the Date! In just a matter of weeks, Ryderwood will be holding their 10th annual Arts and Crafts Fair on Oct. 17 and 18. With vendors from around the region, and new craftspeople added each year, this gathering has grown into a full-fledged festival, with more events in the works for this year to include a Quilt Show at Pioneer Hall, Live Music at the Cafe, and a "Cruisin'" Car show up and down the "Main Drag." On top of all that, there will be door prizes, lunch fare in Community Hall, and the "nearly world famous" bake sale. A large number of families turned out for Kid's Bingo in Winlock Aug. 20 as part of a community outreach program by the Winlock Lions Club. Everyone was treated to free cookies, soda and ice cream while winners were allowed to pick out supplies like a brand new backpack, though community members gave enough donations for every child to walk away with prizes. Named among contributors were Cedar Village IGA, Umpqua Bank, Cattermole Funeral Home, Apple Electric, Winlock Family Dentistry, The Grinder espresso stand, and Olympic Trading Corporation. The Circle of Friends Garden in Ryderwood is a busy place. 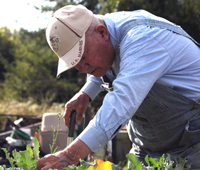 It is the latest creation of Howard Lindsay, who specializes in strawberries and garlic. The latter of which took much of his time at Garlic Fest in Chehalis over the weekend. Lindsay moved to Ryderwood in 1985 and gained an interest in gardening. He always had a small plot, but when he sold his home and moved in with his daughter, he developed his own project garden that includes two greenhouses. The Winlock School Board has announced two new grand-funded programs, which stand to significantly increase the level of services provided to students. Discussed during the Aug. 20 meeting of the District Board, Superintendent Shannon Criss reported the district has recently acquired two federal grants, with one providing free meals to all students and another allowing free after-school programs for elementary and middle school children. It is always good to see so many friendly faces in town during the Garage Sales. I'm pretty sure more items went out of town than came in, which is a big part of the plan. Many thanks to the Social Club for stepping up to sell hot dogs over the weekend. There will be another one in the Spring - the last weekend in April. About Ryderwood's available technology: Century Link provides the only landline telephone (all numbers begin with "295-") and Broadband Internet (6-10 Mbps maximum). For those who want Internet only, a landline number is assigned to all DSL Broadband connections. I think I get the biggest bang for my buck at: ~$20 for landline phone with no long distance, caller ID, etc. and ~$40 for the highest speed Internet. Tuesday Vision:Toledo Arts, Rec and Events meets 6:30 p.m. at the MAC. Visit morganartscentre.com or call (360) 864-4ART. Toledo New Life Assembly Food Bank serving the community last Tuesday and Wednesday monthly 10 a.m.-noon providing bread for body and soul. Wednesday Night Dinners resume, 420 Silver St. Call (360) 864-4366. Those who had been preparing for this week's public hearing on a temporary ban against recreational marijuana businesses in town should note the hearing has been re-scheduled for Wednesday, Sept. 10, at 6:30 p.m. in City Hall. Residents are encouraged to offer verbal input, or written testimony, regarding how they would like to see such businesses regulated, if at all, and those needing more information or accommodations may call (360) 295-3222. The Winlock School District has begun their Stuff the Bus program and local residents are asked to help by contributing school supplies for needy students. Now through Friday, donations will be packed into a bus outside the district office with the goal of filling the entire vehicle. For more info, call (360) 785-3582. The Auditor's Offices of Lewis County and Cowlitz County have released a list of upcoming ballot measures to be decided during the Nov. 4 General Election, including multiple state and local issues. A Toledo man has been arrested for DUI after allegedly being seen assaulting a woman in his car Aug. 20, according to the Chehalis Police Department. Kenneth R. Cooper, 50, was contacted on the 500 block of SE Washington Ave. at around 8:10 p.m. after authorities received reports of a man in the area assaulting a woman inside his vehicle. Authorities are seeking help to solve a theft taking place last month in the Glenoma area. On July 27, sometime between 11 a.m. and 3 p.m., an unknown number of suspects entered a residence on the 100 block of Cedar Ln. through an "unknown means" and stole a .32 caliber Ruger semi-automatic pistol, a hands-free Android tablet, an HP LCD flat screen monitor and miscellaneous coins. He estimated loss is $700. Local EMS and fire responses between Aug. 18 and 24. Two sentences were issued by Judge Steven Buzzard during Winlock Municipal Court on Thursday. 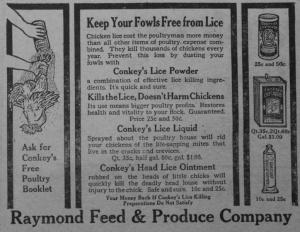 Photo From Herald Archives Advertisement from Raymond Feed and Produce Company as it ran in the Raymond Herald August 28, 1914. Columbia River Fishermen have better catches than last year. Chinook, Aug. 26 - The spring fishing season on the Columbia river closed at 12 o'clock noon yesterday. The last catches on the outside traps in Baker's bay were about the largest of the season for the 24 hours previous, and there was still plenty of salmon in sight.